Digital Foundry published a new tech analysis for Diablo III – Eternal Collection on Switch today. We learn more about the game’s resolution, frame rate, and more. Diablo III’s final docked resolution mostly sits at 900p. This can decrease though, with Digital Foundry recording 1344×756 – usually during high action with many effects. Portable resolution tends to sit at the native 720p, but it can drop to 960×540. 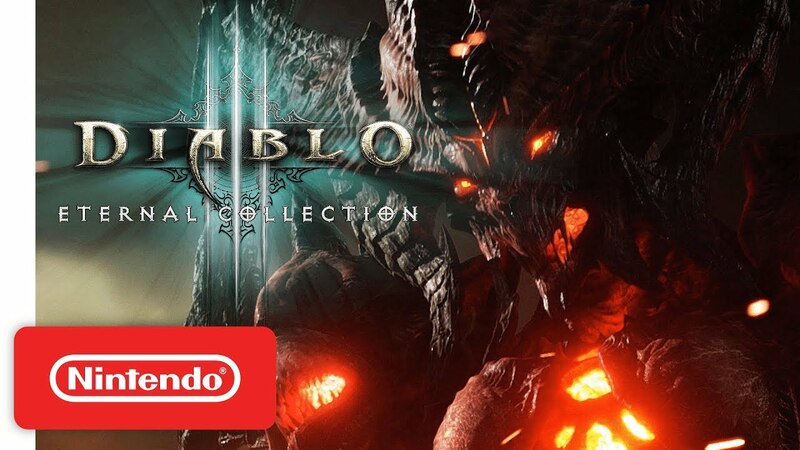 As far as the actual visuals are concerned, Diablo III on Switch seems to be more in line with last-gen versions of the game with added bells and whistles. While the bloom effect was present on the PlayStation 4 and Xbox One, it’s absent on Switch. Ambient occlusion has also been dialed back. There may also be fewer particles when the action gets too intense. Visuals remain consistent in portable mode. Diablo III aims for 60 frames per second on Switch and almost always manages to reach that mark. You may see the rare dip here and there, but it’s essentially consistent. This is a significant improvement over last-gen versions.